To be quite honest, I haven’t listened to any Candlemass in years, let alone any album past 2007’s King of the Grey Islands. There’s something off about the entire doom metal scene—not just the “epic” doom style, which Candlemass spearheaded in particular, but any type of doom burned me out. So many albums from so many bands that essentially replicated the early-doom works exist. In a quick study, I listened to bits of the two Candlemass albums I missed and reminded myself of why, in the early 2000s, I snatched up the current Candlemass discography. 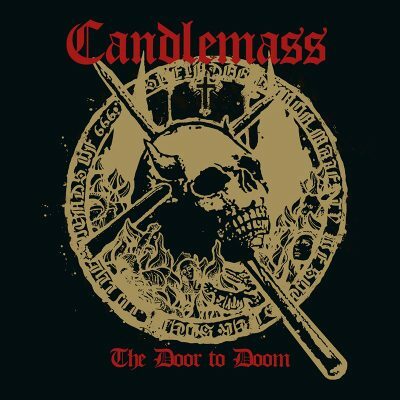 I dug into this latest, appropriately titled The Door to Doom, and not even a minute in, I was reminded of why Candlemass still remain the kings of U.K. doom. The first three tracks of The Door to Doom get the epicness rolling, each one running over six minutes. “Splendor Demon Majesty” blasts out the gates with a sword-clashing riff punch leading into a brilliant, heavy-handed riffed fusing with a fantastic haunting lead that penetrates that initial steel crash. Candlemass haven’t forgotten how important the opening track is to hook in listeners. An icon of heavy metal, Tony Iommi, enters to show every listener how to play the damn guitar for “Astrolus – the Great Octopus” and plays lead for the track. One could say that I have been listening to way too much Candlemass for the last week. Ossuarium’s album is currently pummeling it’s way through the metal underground from the death metal band Ossuarium. As crushing as that entire album is, the riffs dished out from “Astrolus” destroy it completely and, as riff played by the legend that is Tony Iommi is hard to beat. That stated, the main riffs for “Death’s Wheel” are those that made Candlemass and haven’t been heard since the early ’90s and they make for a welcome sonic device, not just for 2019 but for the last decade. Once “Astrolus” and the Iommi drooling ends, there is a melodic interlude type track “Bridge of the Blind.” Things get all sorts of messed-up riff-wise with “Black Trinity” and the rest of the entire album.